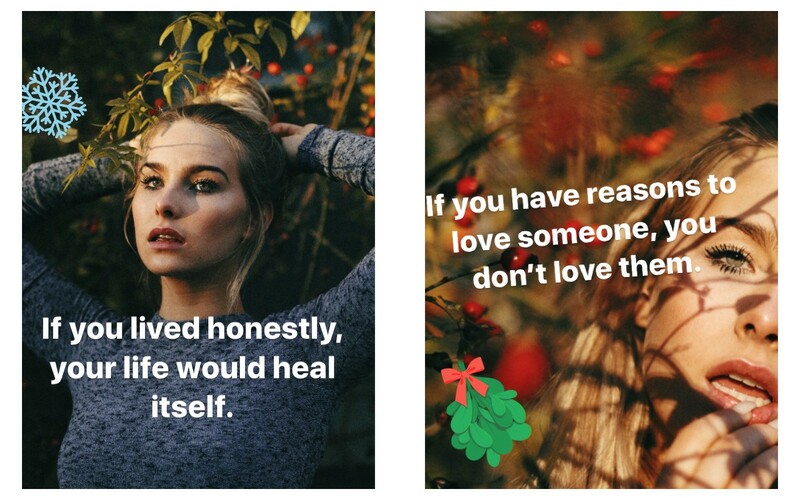 These are the perfect captions to make your selfie incredibly deep. Moral bitterness is a basic technique for endowing the idiot with dignity. It is impossible to point out stupidity without it pointing back at you. Freedom does not lie in discovering or being able to determine who we are, but in rebelling against those ways in which we are already defined, categorized, and classified. Each of us had something to learn from the others and something to teach in return. I wish men would begin by respecting themselves: everything else follows from that. If you experience life as a communist or a capitalist, as a Muslim or a Jew, you are experiencing life in a prejudiced, slanted way; there is a barrier, a layer of fat between Reality and you because you no longer see and touch it directly. All of us want to realize ourselves as distinct persons, but we also want others — lots of others — to know that we are our own distinct selves. We do not want to be unique all alone. Only human eyes can weep. We are fleshbots in love with an inflatable ego doll: ourselves. A book is a mirror. When a monkey looks in, no apostle can look out. The benefit of control and self-sovereignty—is its own kind of freedom. Nothing is simple, of course — least of all peace. Don’t try to see what all the colors look like when they’re added up. Instead, try to get into as many (revealing) moods as possible, as many ways of responding to the sacred as you can— and this life of serial resonances with the sacred is ultimately a kind of contentedness, happiness, even joy. Your relevance is about as relevant as the Earth is to the billions and billions of stars in the sky. Better an imperfect dome in Florence than cathedrals in the clouds. There’s so much pressure to be good and holy that we get scared of all the parts of us that aren’t.